The Allahabad High Court observed that the levy of entry tax on e-commerce sites is prima facie unconstitutional as the state legislature has no authority or competence to do so. A division bench of Justice Abhay Oka and Justice GS Kulkarni of the Bombay High Court cautioned family courts to follow the law in letter and spirit, while hearing matters of divorce with mutual consent. The High Court observed that consuming liquor while on duty and performing the function of a driver of a state transport bus is a grave and serious misconduct and it is not expected of an employer to wait till such a driver commits an accident, resulting in fatalities. The High Court held that sales tax cannot be levied on Bramhos Aerospace Private Limited transfer by the State of Maharashtra as the missile warhead imported from Russia is kept at Nagpur for storage purposes only and not for sale. The Court held that conversion of agricultural land into non-agricultural land would require a payment of fifty per cent of the unearned income as per the Government Resolution applicable. Rejecting the bail application of one of the accused in the killing of a 15 year old SwapnilSonavane, Justice SadhanaJadhav of the High Court observed thathonour killings are reflective of a barbaric society and has no place in a civilised one. Bombay High Court has directed the state government to temporarily accommodate the Maharashtra National Law University (MNLU) by entering into an agreement with MTNL in order to get two floors in the MTNL building in Powai. There cannot be any discrimination between a natural mother and a mother who has begotten child by surrogacy procedure, the Chhattisgarh High Court observed while holding that a female government servant, who has begotten a child by procedure of surrogacy, is entitled to avail of maternity leave under Rule 38 of the Chhattisgarh Civil Services (Leave) Rules, 2010. A division bench of the Delhi High Court recently gave a judgment, warning the judiciary to be cautious about being too zealous in dispensing the case, as this could also lead to denial of justice, as had happened in the appeal before the court. A judge who does not honestly and fairly record the proceedings does the greatest injustice to the parties, the High Court observed while disposing of a transfer petition wherein a transfer of case to another court was sought on the ground that the Special Judge is not conducting the proceedings in a fair and reasonable manner. The Court ruled that a magistrate cannot direct the officer in-charge of a police station to investigate a cognizable offence which is outside the jurisdiction of its local area. A single judge bench of the High Court held that the National Commission for Scheduled Tribes (NCST) has no power to pass orders directing the Centre to grant promotion to an employee. Speaking through Justice Manmohan, the Court directed the authorities to strictly enforce the law for registration of e-rickshaws plying on roads in the national capital. The Kerala High Court in Kabeer vs. Nazrin, held that a court, upon the request of an opposite party, can ask an advocate to relinquish his vakkalathonly if it finds that an examination of the advocate as a witness in the case, is indispensable and it would not jeopardise the interest of the party for whom the advocate appears. The High Court held that a single judge, while referring a case to division bench, could only refer the entire case and he is not empowered to refer only some questions of law involved in that case and retain the rest. The Madhya Pradesh High Court recently in Sanjay v. State of MP, decided the question whether a person convicted for gambling by the trial as well as revisional court be released on probation of good conduct after admonition under Section 360 of CrPC. The applicant did not challenge the findings of the courts below on merits and merely confined his submissions that the applicant may be extended the benefit of Section 360. 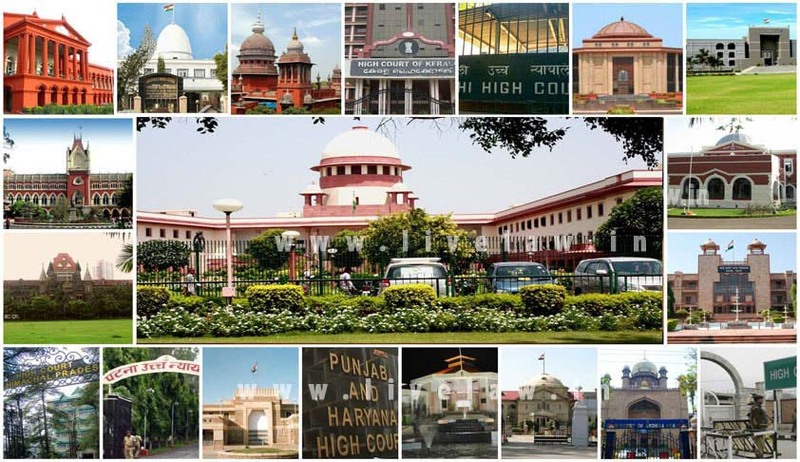 The Punjab and Haryana High Court dismissed a petition against the decision of the district court, Pathankot, which granted the wife right to maintenance under the Hindu Marriage Act, 1955 even when she was earning more than her husband. The High Court ruled that child care leave cannot be granted retrospectively and has to be applied for in advance by government employees. The court has made it clear that due permissions need to be acquired before taking advantage of this valuable right. On Saturday, the Court observed that if any member of general public or any other section is allowed entry into the Temples in the Jaunsar-Bawar Region in Chakrata Tehsil, Dehradun District, then no members of the Dalit Community can be discriminated against. In an important pronouncement, the Court directed the state government to frame rules governing the suspension of sentences.